This project encompassed the renovation of the Dean’s Residence located on the Harvard Business School (HBS) campus in Boston. It consists of a four story structure with a total area of 11,000 square feet. The purpose of this project was to correct numerous deferred maintenance issues and to make space alterations and interior updates to prepare the Dean’s House for occupancy by the new HBS Dean and his family as well as provide space for hosting social functions and events for HBS. The original facility was constructed in 1929 but was last occupied as a residence in the 1970s. 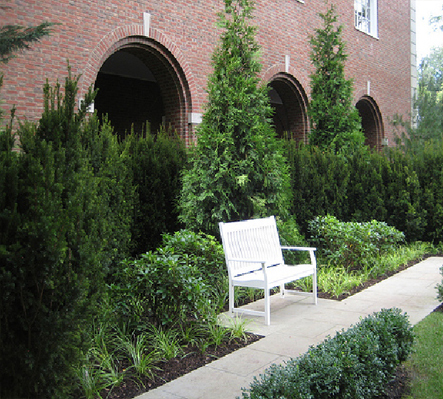 The 82-year old brick masonry building had an exterior upgrade completed in 2008. At that time only the kitchen was upgraded to replace flooring, cabinets, and appliances in the interior of the building. Prior to 2008, the last major renovation to the house occurred in the early 80’s, but many of the major systems were not touched. As a result there were significant deferred maintenance issues that warranted addressing. These issues involved all the major building systems – heating, ventilation and air conditioning, electrical primary feeds, transformers and panel distribution, fire alarm system expansion, and the addition of sprinklers to the boiler room. Many of these systems were well over 30 years old and had reached the end of their useful life expectancy. The facility now serves as a model for updating a historic building to contemporary standards of sustainability and resource conservation while highlighting Harvard Business School’s commitment to the environment.